This is a joint giveaway with Up, Down And Natural and Natural Parents Network. You may enter at one site only. Please find the section marked “Win it!” for the mandatory entry and optional bonus entries. GREAT NEWS: The giveaway has been extended till Monday, April 16! 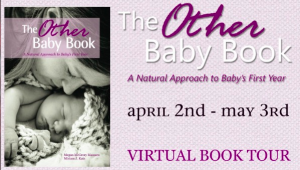 The authors of The Other Baby Book are offering our readers a giveaway copy, a value of $12.99. This is a QUICK giveaway, so enter today! This book is a wonderfully written parenting book with no-nonsense advice from two natural parenting mamas who have been there and done that. They tell it like it is, without judgment and with loving, sound, and gentle advice. One of my favourite features of this book was the “Overheard” snippets, where Megan and Miriam include sound waves from moms who have “been there, done that,” and tell it like it is. I like that the book, while natural minded, does remain open to other paths as well — especially when necessary. Personally, I am very sensitive about the fact that I will most likely need a c-section, and do very often wonder, “Well, what if I could birth at home or in a birthing center…?” When I reached the “Hospital Birth” heading, I braced myself for c-section stats and the normal “How could you ever! 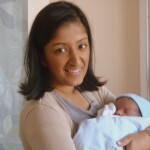 !” While there were stats, it was comforting to read of helpful ways to keep your birth as natural as is right for you, while still allowing for the fact that medical technologies are now there for when necessary. Organization is the spice of life. At least, it is for Type A personalities like myself. I love how well organized this book is, not only from chapter to chapter, but also within chapters via subheadings. I am certain through pregnancy and the first year, I’ll be referencing this book for tips and tricks, and reassurance that “this is normal.” The easy to find information, and easy to understand language, contribute to feeling like this is simply advice that your best girlfriends wrote down for you. Not going to lie, it took me a little while to shake that one off. While it’s great, invaluable information that no one else tells you, there are definitely a few chapters I would not want to read while pregnant and hormonal. I’m very thankful to have this read under my belt pre-pregnancy! Verdict: Would I buy this? Absolutely!! Would I recommend it to friends? Definitely!! The Other Baby Book will for sure be in my go-to baby shower gift basket. You can purchase your own copy of The Other Baby Book in either a Kindle Edition ($5.99), or Paperback ($12.99) here on Amazon! For your own chance to win your very own copy of The Other Baby Book, enter in the comments below. MANDATORY ENTRY: Visit The Other Baby Book website and tell us one thing that interests you about the book or the authors! See the Rafflecopter entry system for bonus entries to increase your chance of winning after completing the mandatory entry. Bonus entries are entered directly into Rafflecopter. Give it a try, and email or leave a comment if you have any questions! Contest closes April 16 at 11:59 p.m. Eastern Time. As Arpita and her husband have been trying to conceive their first child for over 3.5 years, she is trying to embrace the lessons the universe still has to teach her. Arpita wears her heart on her sleeve and on her blog about trying to conceive naturally, with medical help and now through their first attempt at IVF. She writes about the infertility experience, natural parenting, cloth diapering, breastfeeding activism and more. She blogs at Up, Down & Natural. You can also find her on Facebook andTwitter. 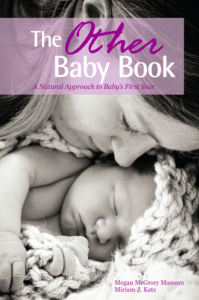 I have long been hoping a simpler baby book would be published, so I was really excited when I first saw The Other Baby Book. I like that Megan and Miriam are hosting a blog on their website to allow discussion to take place. It certainly does “take a village,” and their site has become one of my go-to villages. As a new doula, I also appreciate, like Arpita mentions, that they discuss hiring a doula as a normal option for any mother-to-be. Thanks for hosting a giveaway! I love the way the authors want us to back to a more connected first few years with our babies. I love that it’s a natural approach to babies. You don’t see that in books very often. This sounds like a good one, I’m excited to read it. Always looking for good books to share with new moms. I love the fact that the authors seem so down to earth. Seems like it’ll be like overhearing a conversation between your friends. I love that the book seems like it is a gentle approach to natural parenting without alienating mainstream parents – presenting it in a format to get parents thinking. I found it very interesting that they are pro-EC! Diaper free is becoming more popular! I am most looking forward to the chapter on sleep! It interests me that it was written for moms to moms. It seems like more often than not it they are written from doctors to moms. This is a great alternative! I am interested in reading this because I would like to learn some more gentle methods of parenting. I am interested in reading the Eat: Enjoy Food Together chapter. 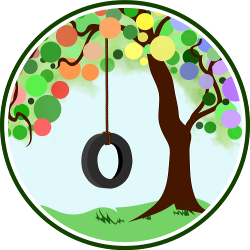 I have had some struggles with my son in some areas, like when I tried BLW. So I am definitely looking for a fresh perspective for my daughter coming in a few months! I want to read this book, because I like that it has a “down to earth approach”. I have read so many books that leave me feeling like I’m just reading a dr’s “expertise” or books that are barely helpful at all. I love that this is a book about natural parenting. I’m pregnant with my first and realizing that I want to live a more natural lifestyle, including how I raise my child. Can’t wait to read it! I’m most interested in the breastfeeding and sign language chapters!